There are various approaches to pricing commercial real estate leases, the most effective of which include several key elements that are sometimes overlooked. This is particularly true when it comes to office spaces. 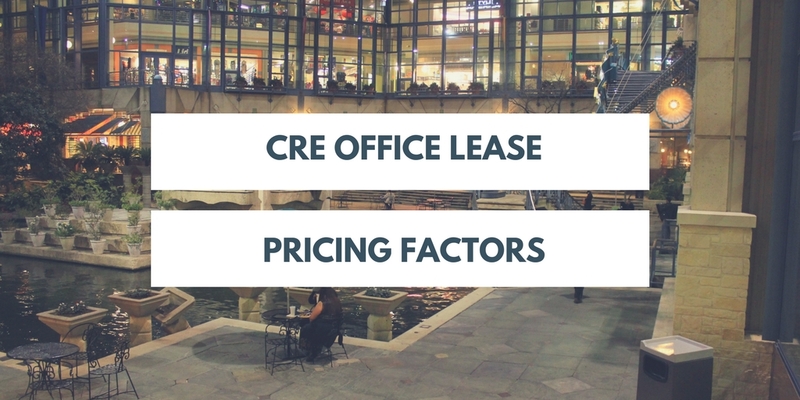 Are you incorporating these factors that impact pricing for office space leases into your pricing structure? Although the commercial real estate industry has historically focused on price per square foot, the importance of square footage is changing due to modern office concepts. Layout is becoming a focus as modern businesses aim to accomplish more with less space. Open floor plans and/or adaptive spaces are therefore in demand. The layout of a space can enable you to charge more than the average straight square footage calculation normally demands. Building amenities are another growing appeal for businesses looking to lease office space. Rather than focusing strictly on amenities that you may directly manage as a landlord (common areas, elevators, visitor parking, etc. ), be sure to also include the value of amenities provided by other lessees in the building such as coffee shops and restaurants. People value the convenience of access to services that they need daily. Lastly, we can’t discuss factors that impact pricing for office space leases without mentioning lease structure and terms. As you probably already know, the type of lease, who pays for utilities, lease time period, etc. all influence pricing. The key to attracting modern businesses is to become more creative with how leases are specifically structured. As businesses change the way they operate and adapt to technology and society, so too must the lease structures and terms used to attract and retain them. Given all of the above factors that impact pricing for office space leases, it’s clear that pricing is not as straight forward as it used to be. Furthermore, all commercial leases involve some amount of negotiation. It’s important to consult with commercial real estate advisors such as ABG Realty to ensure that you are maximizing your office space lease rates through proper structuring and negotiation of terms. This will ultimately improve the quality of lessees, reduce vacancies, and boost profits.